In the future drones could routinely be carrying out tasks in our cities. They might connect up hospital networks with medical sample deliveries, help emergency responders get to incidents more quickly, or even come out at night to fix potholes (seriously). This future is not a far off prospect - a large drone ecosystem has already emerged. As part of the Flying High project we’ve mapped out the UK drone industry and found a thriving ecosystem of products and services that may surprise you in its size and scope. We’ve created what we believe is the most comprehensive database to date of UK civic and commercial drone industry players, and this has been turned into an interactive visualisation by Luca Bonavita from the Innovation Mapping team here at Nesta. Scroll down to explore the interactive map and read our analysis below. A full-screen version of the map is available here. Click the i in the top left for info on how to use the map. The database includes companies registered in the UK that are researching, developing or offering drone-related products and services in the UK, as well as UK research institutes and industry bodies. Most of these are homegrown companies, but some operate here and are headquartered outside of the country. We've excluded companies focused exclusively on military drone activities, as well as resellers and retailers. Data for the map was provided by Glass, a London-based startup that has developed AI technology that reads the web, and can be used to identify companies in a particular sector through the text on their websites. This was supplemented by our own research and data from Gateway to Research on recipients of government funding for drone projects. Outlined below are a few of the insights gained from this map. The detailed findings of the whole Flying High project can be found in the recently published report. The vast majority of the drone industry, around 70% of our dataset, is made up of businesses providing services using drones. The barrier to entry for becoming a commercial drone operator is low. Commercial-grade camera drone costs start under £1,000, and a few thousand pounds more can cover training, licensing and insurance. Often drones are just needed for small one-off jobs like a roof inspection or capturing video for a property listing, and so will be outsourced. The business model of a low-barrier to entry, technology-driven service for one-off jobs draws parallels between the drone operator and the ‘man with a van’. Drone service providers operate in more or less every part of the UK. The businesses range from sophisticated operations inspecting high-value infrastructure projects and integrated with bespoke data analytics platforms, to solo operations doing wedding photography. Some of the higher end service providers target a specific industry - commonly infrastructure, construction or film and TV production - and some companies already in those industries are now incorporating drones in their offering. A great many operators offer drone imagery for almost any purpose, often providing a generic shopping list that includes media, real-estate advertising, construction/surveying, mapping and infrastructure inspection services, and to a lesser extent agriculture, emergency service support and event photography. Nearly all of these firms are using off-the-shelf technology (most commonly from Chinese firm DJI). Although some providers assemble their own drones there is generally little overlap between technology developers and service providers. When drone service companies are working on technology, it is usually software for using data captured by drones. 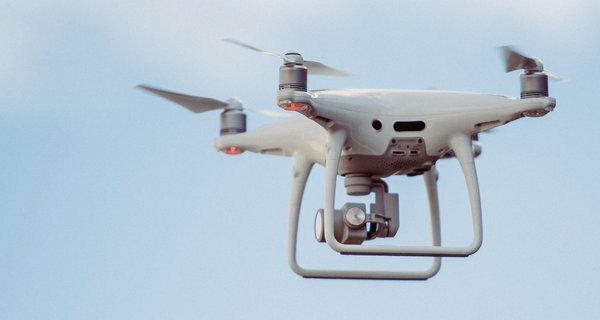 We know that the number of drone-powered service companies we have mapped is a major underestimate of the total, and many commercial operators weren’t captured by our search as they are sole traders or are in-house operators in companies that aren’t specifically advertising drone services, such as media production and surveying firms. The CAA figures for August 2018 show there are 4,530 operators with permission for commercial operation of drones in the UK. This number represents a massive increase over the last few years. In 2010 there were five commercial permissions for operation, 110 in 2013 and 1,769 in mid-2016. Drones are still a relatively new phenomenon and many of the technology companies in the space are young startups and SMEs. Some of these are aerospace engineering-focused, particularly those working on platforms (the drones themselves) and subsystems. Drone technology is a combination of digital tech and aviation, and so a significant number of companies in the space are software and robotics-focused, and either new to aerospace or working on non-aviation aspects of technology that supports drone operators. On the other end of the spectrum are large incumbents, particularly from the aerospace and defence sectors, reflecting the military origins of drone technology. This includes many UK firms such as Rolls Royce, QinetiQ and GKN, and also firms headquartered overseas but operating in the UK, such as Thales, Tekever and Rockwell Collins. Many of these have worked on military drone technology and are now starting to enter the commercial drone space, but very few have civilian drone products on the market. Related to this, the UK has quite a few companies focused on counter-drone technologies, reflecting the potential for misuse of the technology, such as smuggling drugs into prisons. These solutions range from identifying rogue drones to guns that fire nets to take them out. Overall the drone industry is quite evenly distributed across all parts of the UK, tending to follow major population centres. However, technology developers appear to be more clustered, particularly in London and the South-East. 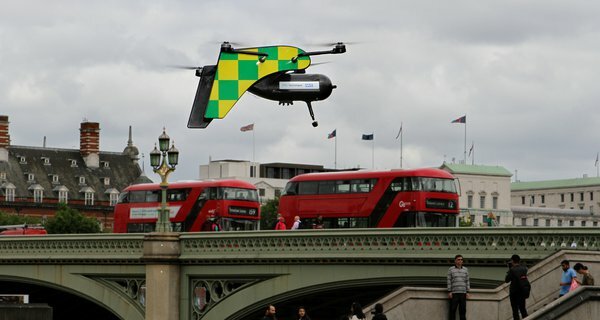 London has, by far and unsurprisingly, the biggest concentration of drone technology companies, with more than a fifth of UK drone technology companies registered in the capital. London is likely to be overrepresented because many companies have head offices there while R&D occurs somewhere else, and many startups use a registered office service in London while actually operating at another location. However, this doesn’t cover the majority of London-based companies in the dataset. The concentration in the capital reflects a wider imbalance in the UK economy (London has twice the GVA per capita of the rest of the country), but also the fact that London is a hub of the digital tech sector, and many drone companies are software startups. There are also clusters of five or more companies in Oxfordshire, Bristol, the North East region around Newcastle, Southampton, and Edinburgh, all of which have other tech clusters or academic institutes with drone-related research. We’ve uncovered a huge amount of activity going on in the drone sector in the UK and a number of startups and SMEs with very innovative ideas (see below), but outside of the big aerospace engineering players there aren’t many well known companies in our dataset. There are many companies developing drone platforms, but the market for these is thus far totally dominated by Chinese, American and a couple of European entities. The UK’s current strengths in the sector appear to be more in autonomy and data analytics, which together make up a significant proportion of UK technology developers. This map shows the type of technology being developed, the number and location of companies, but not the quality or success of these, for which other metrics are needed. We know that the UK is far behind other countries in terms of drone patent filings, for example. However, the large number of startups indicates that the UK has fertile ground to build on. We’ve also identified 20 academic and research institutes with drone-focused research groups, and over £78 million in research grants for drone-related projects in the last six years. The industry is moving very fast and the UK has the potential to be at the forefront, but clearly isn’t there yet. The Flying High report outlines some next steps to grow this sector in a way that is both prosperous and inclusive. Of particular importance is public engagement to shape how the market evolves, but there also needs to be alignment between key stakeholders, development of supporting infrastructure and the space to experiment and test new technology. Government support for the sector through funding and an anticipatory approach to regulation that fosters innovation will also be essential. There’s a lot in this map to explore, including mature technologies and operational services, but one of the exciting things about working on the Flying High project has been finding out about some of the ideas and prototypes that bridge science fiction and reality. Malloy Aeronautics have developed a ‘Hover Bike’ that wouldn’t look out of place in Star Wars. 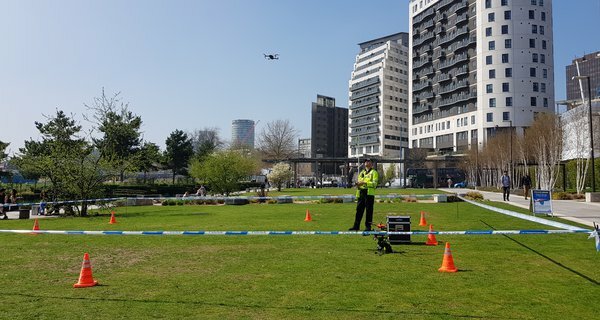 The Flying High Challenge will collaborate with up to five cities across the UK to shape the future of drones and drone systems. Drones could become a commonplace feature of our lives, but what do people think about this fast-developing technology?